Schijvens Confectiefabriek Hilvarenbeek is a Dutch family business that has been designing, producing and distributing for retail, logistics and facilities management services since 1863. Schijvens takes care of everything, from design to production of work clothes for customers like A.S. Watson, Blokker Holding, Hema, Etos , Intratuin, P&G, Sligro Holding, Strukton, Fabory, Engie, Makro, Praxis, Emte, Duracel, Tesla, Smurfit Kappa, Gamma and Qatar Airlines. Schijvens works actively to increase the sustainability of the production process and work clothing. The sustainably produced clothing collections of NS Retail, Intratuin, Kruidvat and Stayokay Hostels are based on this philosophy. Stayokay work clothing consists of 50% used fabrics and 50% used plastic bottles! We would like to inform you personally about our latest innovations and technology in the field of circular production and are pleased to invite you to our stand. 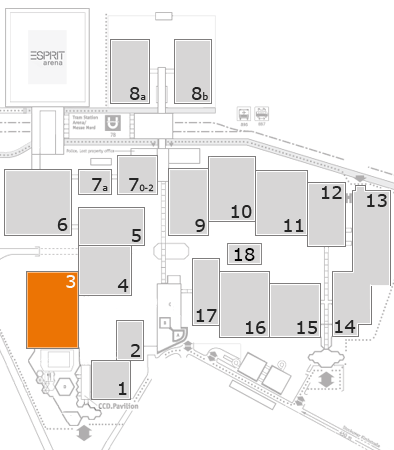 You can find us in Hall 3, location G42. Schijvens has been designing, producing and distributing workwear since 1863 for retailers, facility service providers and logistics companies. Its clients include Hema. Our team of 25 enthusiastic young people makes sure the client has nothing to worry about. We proactively help the client find the right solution from the very first contact. We can produce completely customised designs, or we can deliver articles in our own TRIFFIC brand from stock so that the client is not tied to large production volumes. In other words, we look for the most efficient option for the client. Our designs have a casual look too, stuffy uniforms are a thing of the past for us! Our sizes are taken from the fashion industry too, so there will be no more of those oversized products for which the workwear industry is so notorious. We employ our own stylists, who creates designs based on a concept. Our company is not only affiliated to the Fair Wear Foundation, but also ISO9001 and ISO14001 certified. We also offer stock control and distribution to the locations after the articles come off the production line. In other words, it's a one-stop shop, as we have been for 150 years, offering experience and flexibility, trendiness and craftsmanship.